One Carolina Reaper Pepper! The Worlds Hottest Pepper- 2.2 Million Scoville Units. 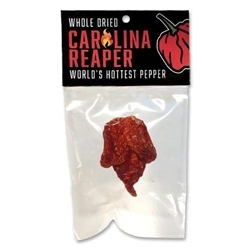 Perfect for when you just want to try the worlds hottest pepper or give the gift of extreme heat in a small attractive gift!